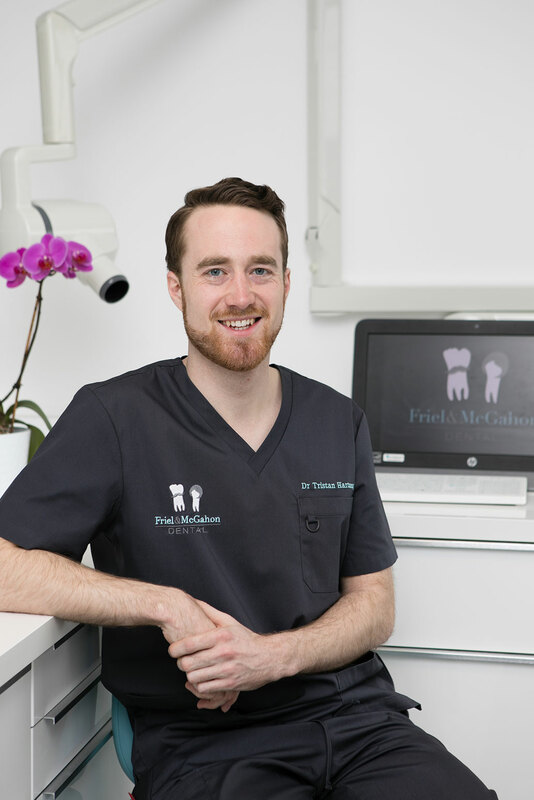 Tristan qualified as a dental surgeon from Hanover Medical School and made his move up to Dundalk to work at Friel and McGahon Dental. Having lived in Germany for most of his life he is rewinding family history to be closer to his relatives in Dublin, Wexford and Kilkenny. Tristan is committed to modern dentistry and offers his patients the individual and comprehensive treatment they deserve. He is a member of the Irish Dental Association and registered with the Irish Dental Council. Outside of work Tristan loves to spend his time in the outdoors, either hiking up the mountains or chasing after footballs.